-Go back to your R&B influenced roots. -Don’t make it sound too techno J-Poppy. -Make it sound like an R&B song from the 90’s. -Add a part where you just talk in the breakdown. -Soulful background singers during the chorus. -Get a rapper to rhyme on it. Okay, so at least she got to most of my requests. I don’t know about the cover though. The picture is fine but something about the font looks off to me. It looks like some 12 year old photoshopped the title on there. This entry was posted on January 23, 2009 at 5:10 am and is filed under J-Pop, Japan, Music, R&B, Uncategorized. You can follow any responses to this entry through the RSS 2.0 feed. You can leave a response, or trackback from your own site. Unfortunately for me, none of the items on your list is what I like. The album will certainly have a rapper at some point, so all of your requests will be granted while I’m left out in the cold. But since this is what I expected I shouldn’t complain. I just didn’t expect the first single to be so damn soulful! This song is just a cookie-cutter slow jam that I’ve heard so many times before from every R&B female singer. But I will admit that it doesn’t put me off as much as Easy Breezy did when that released. I hope the entire album isn’t slow jams and club hits but has the same variety found in Exodus, and pray that I don’t hear any auto-tune. 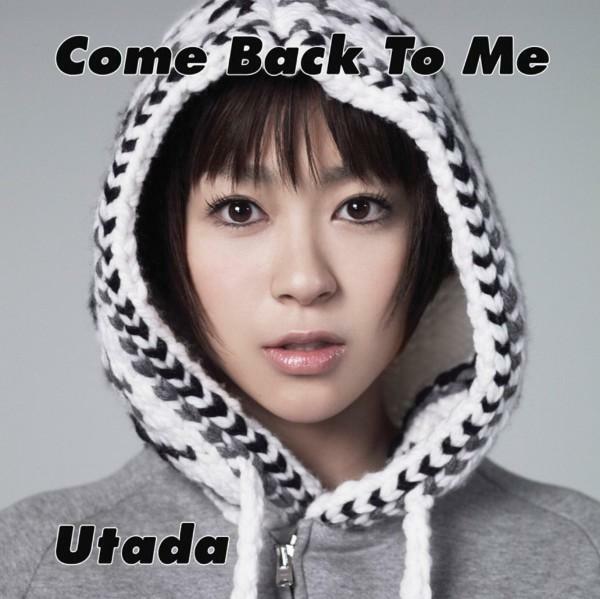 It’s strange when you think about how different Utada’s “western” music style and image is compared to her silly, j-idol personality portrayed on Japanese TV and in her music videos. Two different worlds. I love the cover photo (something about those hoodies….) but you’re right about the wack font. The last release (Prisoner of Love single) also had a poorly chosen text style. So the song is weak, the cover needs work, but have I already listened to “Come Back to Me” 20 times since it’s release and pre-ordered the Japanese version of the full length, expected to release several weeks before the American release at a substantially higher cost, and if anything like Exodus’ Japan release will feature additional, exclusive tracks? Yeah, right. Like I would do that.